Origin The ancient Greek used the flattened dough that features lasagna. The combination of egg and wheat with water was known before which was roasted on the hot stones. Pasta is the Italian food or noodle which is made from the unleavened dough extracted from durum wheat flour combined with eggs, water and formed into various shapes. It is boiled, cooked or baked. It is also prepared with flour made from grains and cereals. The pasta is divided into fresh pasta and dried pasta. Fresh pasta is made with hand or use of machines. Nowadays, large machines are used to make pasta available in the market. Both fresh and dried pasta has varieties of shapes. Long shapes, tubes, short shapes, miniature soup shapes, flat shapes and sheets, filled or stuffed, and decorative or specialty shapes are the common forms of pasta. The ancient Greek used the flattened dough that features lasagna. The combination of egg and wheat with water was known before which was roasted on the hot stones. It is known to be baking. It was followed by the Romans during 1st century AD by making a dish named lasagna with fish or meat. In the 5th century, noodles were known to Talmud. It was prepared like pasta in Arab lands which then spread to Italy. The penetration of Arabs to Sicily introduced there as well. The product made from flour in the strings shape was introduced in Palermo. It was also considered to be brought by Marco Polo when he returned in 1295 from China. The books of Italian recipes from early twenty years that contains the pasta dishes references. He confronted pasta during travels. Pasta might have been existed in the China from the early years. Until 14th century, pasta was not well known which spread to New World when the Spanish and Italian explorers navigate seas to new lands. In 15th century, the tubes of pasta spread to the Old World. In the 17th century, it was considered as the common food. During 18th century, pasta was widely popular in the New World. In the mid-19th century, cheese and macaroni was mostly enjoyed. Lasagna and Spaghetti was the other forms that were widely spread. 124 g of pasta contains 196 calories, 77.04 g of moisture, 7.19 g of protein, 1.15 g of total fat, 0.33 g of ash, 38.27 g of carbohydrate, 2.2 g of total dietary fiber, 0.69 g of total sugars, 0.11 g of sucrose, 0.05 g of glucose, 0.04 g of fructose, 0.5 g of maltose and 32.25 g of starch. It has the minerals such as 9 mg of calcium, 1.59 mg of iron, 22 mg of magnesium, 72 mg of phosphorus, 55 mg of potassium, 1 mg of zinc, 0.63 mg of copper, 0.399 mg of manganese, 32.7 µg of selenium and 8.7 µg of fluoride. Pasta is served in all restaurants. It is a nourishing meal which is easier to make. It has high content of fiber. It has antioxidant properties which help to prevent diabetes. It satisfies hunger and stores energy. 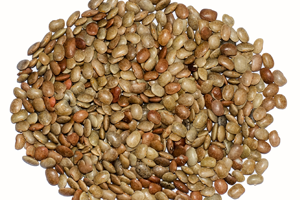 It is loaded with adequate amount of minerals, vitamins and phytonutrients. The pasta should not be added before the water boils. One should not use a small pot. Avoid breaking long pasta into pieces. The pasta should not be overcooked. It should be drained completely. Pasta should be dressed properly. It is served as a side or main dish. It is added to salads, soups and desserts. In America, Pasta soup is widely popular. In Mexico, South and Central America, the pasta is added to various stews and soups. In North America, pasta is consumed with chicken, beef and vegetable. It could also be baked and fried. It is usually served with sauce. In North Italy, garlic, herbs and less tomato is used. Due to the high content in carbohydrates that may fluctuate the level of blood sugar and result in diabetes if consumed for long time. The pasta made from rye, wheat and barley contains gluten which could cause irritable bowel syndrome and celiac disease to the people that are intolerable to gluten. The people allergic to gluten could experience giddiness, fatigue, mouth ulcers, abdominal bloating and depression. 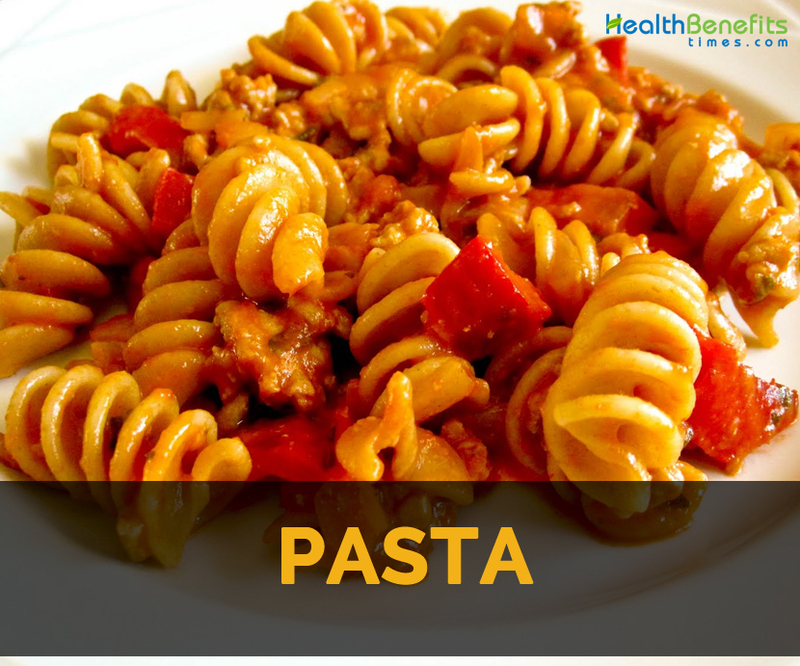 The high consumption of pasta could lead to gaining weight due to the presence of high amount of calories. The digestive problem might be experienced. White pasta increases the level of LDL cholesterol that could lead in blood clots, strokes and high blood pressure. It stimulates the growth of bacteria names pathogenic or microflora yeast in gut. In 1154, the first reference was made to pasta in a book. It is made from the flour of durum wheat. About 600 types of pasta have got more than 1300 names. Spaghetti, penne and macaroni are the three widely popular pastas. Egg is contained in fresh egg pasta. Al dente is the Italian way to cook pasta. The pasta which is cooked is frozen and could be consumed within 3 months. About 1432990 tons of pasta is produced by Italy in a year. October is regarded as the National Pasta month. The pasta made from Durum wheat is of top quality. Annually, US produce about 4.4 billion pounds of pasta. United States, UK, Germany and France are the top producers of pasta. Pasta is consumed by hand. The term Pasta was derived from the Latin word meaning dough. Calories 338 Kcal. Calories from Fat 12.33 Kcal. Calories 168 Kcal. Calories from Fat 12.06 Kcal.